Site: The website, and all pages, content and other materials pertaining to it. 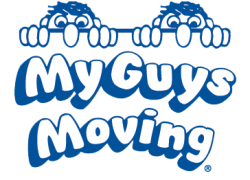 Company: My Guys Moving & Storage – Virginia Beach. Terms: This agreement and all stated provisions. Materials: Logos, text, graphics, images, trademarks, copyrights, patents, data, audio and video clips, logos, buttons, software, service names, words or phrases, page headers, materials belonging to the Site. Any and all utilization of the pages, content, links or any other materials on this Site, by You, constitutes an agreement to its Terms and Conditions. You agree to the Terms by accessing the site. The Terms form a legal contract between you and the company and You are bound by the legal provisions which it states. All Materials accessible on the Site are the exclusive property of My Guys Moving & Storage – Virginia Beach (“My Guys”) and are protected by U.S. and international copyright, trademark and other laws. The law provides that you may not use the site to: upload, post, transmit, email, transfer, electronically share, or distribute the Materials in any way that would constitute a copyright violation, trademark infringement, or violate the proprietary rights of this and/or any other party included in these Terms. Duplicating, modifying or distributing derivative works or compilations is prohibited. You cannot modify or alter copyright notices without the express permission of the Company. Your use of the Materials is restricted to the provisions outlined in these Terms. Copying or modifying the Materials. Dismantling, recompiling or reverse engineering the software on the Site. Removing copyright or proprietary notices. Transferring or “mirroring” the Materials on another server. Advertising or using the Site for commercial purposes. Your limited license to use this Site or its Materials does not constitute a transfer of title. Please review these Terms periodically for changes as My Guys reserves the right to change, delete, and update any or all portions of these Terms or other policies that govern use of the Site at any time. If You use the Site after changes to the Terms have been posted, such use constitutes agreement to the updated Terms. Any other agreements or relationships with the Company are governed with respect to that specific agreement, provided the agreement does not encroach on these Terms. The information on this Site is provided to you in good faith based on the information available to the Company. My Guys does not guarantee, that the third-party information on this Site is current or accurate. Any reliance on material posted by third parties shall be at your own risk. My Guys Moving & Storage – Virginia Beach operates the Site from offices within the State of Virginia in the United States. The courts of Virginia (state and federal) hold exclusive jurisdiction and venue for any disputes. Access from other locations is undertaken at the risk of the user. You are responsible for compliance with any applicable laws pertaining to the location from which You access the Site. You agree that the laws of the State of Virginia (excluding any choice of law rules) govern your rights and obligations relating to My Guys and your use of the Site. Any program that could maliciously act with the Site or harm the property of the Company. False, libelous, defamatory or misleading statements. Obscene, scandalous or pornographic material that would violate any criminal statutes. You may not use any system or device to automatically access the Site other than those provided by My Guys Moving & Storage – Virginia Beach. Robots, spiders or other means of automated access are prohibited. Collecting data on users of the Site is prohibited. You may not perform any action that would inhibit the proper working of the Site or impose a disproportionately large load on the Company’s servers. You may not bypass any security or the authentication measures the Company has to protect the Site. You may not create a link to the Site without obtaining the Company’s written permission. You may not impersonate or misrepresent another entity or person, or misrepresent yourself in order conceal your identity from the Company. You may not forge TCP/IP headers in any email or posting. You may not test for vulnerabilities in the security system without the Company’s written authorization. All other agreements, statements, negotiations and undertakings with regard to the Company are superseded by the Terms which You have agreed to by accessing this Site. These Terms represent an entire agreement between You and My Guys Moving and Storage – Virginia Beach.